At first my mother would ask the same questions over and over again. "When is Nancy coming over?" or “What does your husband do for a living?” repeated every five minutes like a loop. She would forget that she had three brothers or that all of them were dead. That I had to go to work and couldn’t go shopping that day. Then she began to let her tea kettle boil dry and her bath overflow. When my brother installed a shutoff device in the tub in case she went to check her mail and left the water running again she didn't thank him for saving her from a problem, she cursed him for the inconvenience. The first two times that she forgot she was running herself a bath, the water had seeped right through the walls and the floorboards to the apartment next door. She was furious, insulted even, when we moved her out of her tiny one bedroom in Santa Monica and moved her into my sister and her family's home in the valley. It didn’t matter that we painted the walls of her new bedroom her favorite shade of pale green, that we filled a lovely etagere with family photos, her fine bone china tea cups and treasured keepsakes from her travels with our father. What could we say, that we were terrified she was going to kill somebody, herself maybe? “What kind of job,” I might ask, choosing to humor my 79 year old mother rather than argue her version of reality. “Oh, you know… the same kind of work I do here.” She'd been retired from General Telephone for years and years. And now it’s time to move again. My brother, sister and I have just begun to look at Assisted Living homes. She will still be angry. She won’t remember that she wanders off. She'll have no idea that last week the police searched the neighborhood for two hours before she was discovered two short blocks away, carrying an old plastic bag filled with dead leaves and some crumpled Tommy’s burger wrappers. She said she was on her way to the train station, on her way to London. She wouldn't believe it herself, her old self anyway, if we told her that she tried to climb over the back fence in the middle of the night. Or that she thinks her great grandchild is her own baby and that she hit my sister, hit her hard, for taking that baby away. She won’t remember that we love her and that we always will. She won’t remember. She’ll curse us. My sister, my brother, me. 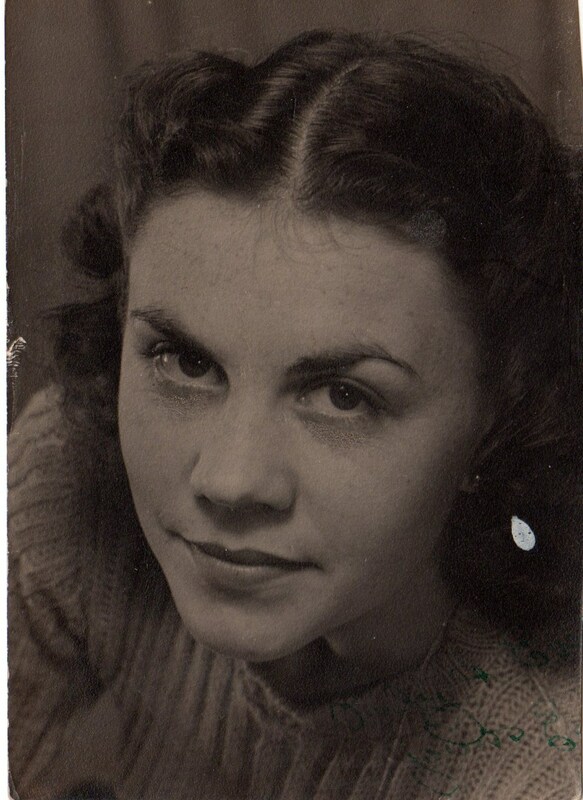 My mother Enid Maude Good nee Hayden passed away from complications from Alzheimer's on April 13th, 2012. She was eighty seven years old. She was cremated and we scattered her ashes, lovingly, into the Pacific Ocean. I'm also glad I've written about her better days.